Melinda Evans Davis, age 62, of Rocky Mount passed away on March 4, 2015. She is survived by three beloved sons, Dennis Staton Davis age 39 and wife Crystal Davis, Jimmie Earl Davis age 37 and Evan Edward Davis age 23, special friend Darrin Fortier age 49. One beloved brother George Earl Evans and sister in law Ann Evans, one beloved sister Sherry Evans Larkin and brother in law James Douglas Norville Jr. and brother in law Michael Daughtridge. 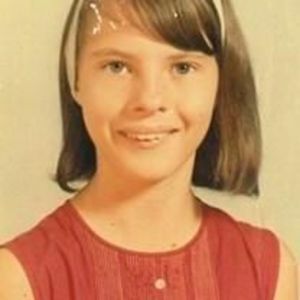 Melinda is preceded in death by her mother Earldean Evans Bennett and her father George Linwood Evans, her beloved brother Ranny Lin Evans and beloved sister Angela Evans Daughtridge. Melinda was a loving and devoted grandmother to her 3 grandchildren Andrew James Davis age 15, Dennis Station Davis Jr. age 9 and Amber Brooke Davis age 7, several nieces and nephews. Melinda was employed with the Evening Telegram prior to joining Nomaco Plastics in Tarboro. Melinda will be deeply missed by her family, friends and co-workers. Melinda’s family would like to thank all her friends for their thoughts, prayers and support at this difficult time.